A proposal photographer uses his or her creativity and attention to detail to capture your story and emotion in the picture. 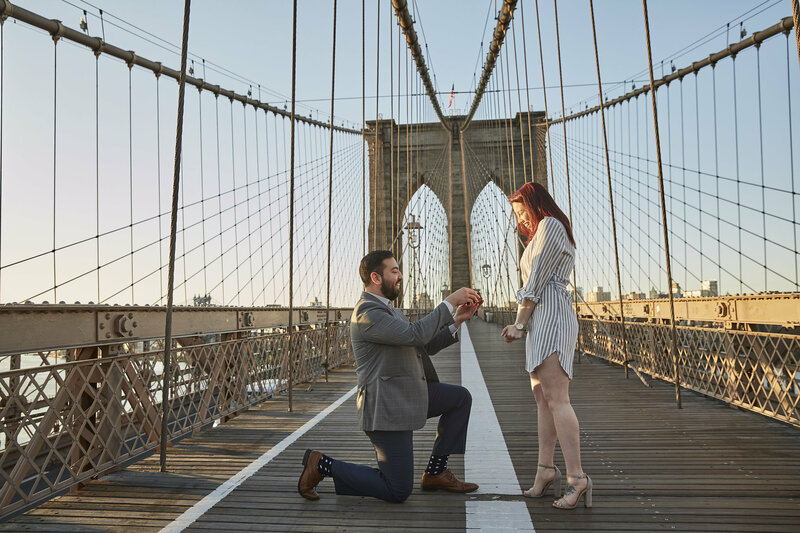 Aside from capturing the engagement, a proposal photographer can also help you plan ahead so that you don’t miss out on the essentials of an engagement. As finding a photographer who can seize the moment when you go down on one knee isn’t the easiest of tasks, we’ve compiled a list of eight questions to ask when hiring a proposal photographer, to make the selection process easier for you. 1. Does the photographer provide a walkthrough? 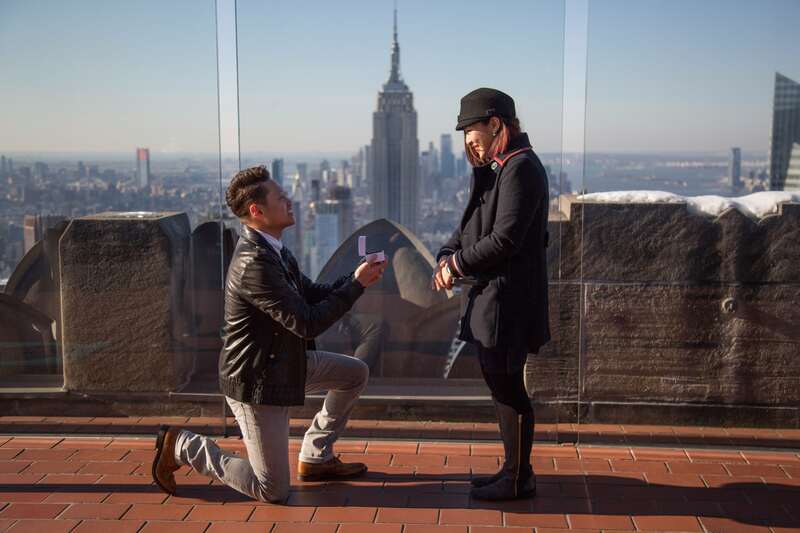 You won’t want your photographer to miss the big moment when you pop the question. Scheduling a walkthrough with your photographer will allow them to know precisely when you’re going to propose. It can also help the photographer to establish the angles, lighting and other aspects, so you can get the best pictures to remember your engagement. This can also serve as a rehearsal so you can better prepare yourself. 2. Are they able to help you choose the best light? Lighting plays a crucial role in capturing a romantic mood. Your photographer should be able to help you understand where and when you can capture the images with the best lighting. 3. Do they guide you on where to stand and kneel? The setting, venue, and placements can play a huge role in how your photographs will turn out. The photographer you want to hire must be able to help you plan and visualize how the photo is going to look. They must help you take up the right positions so that they get a clear view. 4. What type of lens does the photographer use, and are they discrete? 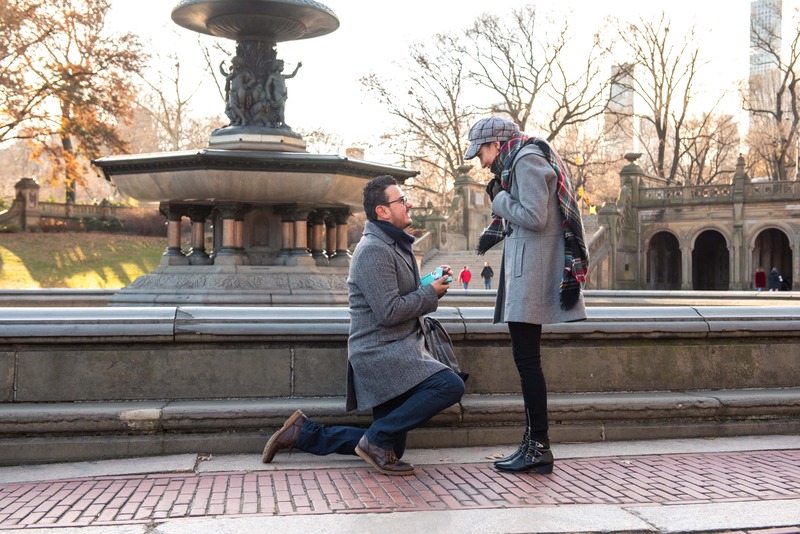 Proposals are intimate moments, and you wouldn’t want your photographer to direct your attention to the camera continuously. Ensure that your photographer uses a long telephoto lens that allows them to capture a clear and unobstructed view discreetly. 5. Does the photographer carry more that one camera? Your photographer needs to be prepared for any situation, therefore, it’s necessary that they carry two cameras along with a substantial memory card. Carrying two sling cameras saves the photographer time from continuously changing lenses and gives them more area for creativity. 6. Do they dress for the job? Look out for a photographer that dresses appropriately for an event or wears a uniform. While this is not a mandatory requirement, photographers who adhere to a dress code can be an indication of professionalism and discipline. 7. Are they able to tell a complete story through photographs? Any good photographer should be able to tell a story through the photographs. Their pictures must be able to capture emotions and the mood of the event. Look at the photographer’s previous work to determine if they can tell a story. 8. Are they able to capture the entire view? While close-ups are excellent for capturing your emotions, your photographer should not disregard the background, especially if you’re proposing at a beautiful venue. It’s essential that the photographer can fit everything in the frame while also ensuring that you and your partner remain in focus. If you’re looking for a proposal, elopement, vacation, and travel photographer, in New York, London, Paris, Tokyo, or Lisbon, reach out to PicVoyage. Our team of photographers is changing the way you remember your proposals, engagement, and vacation by providing you with a premiere photography experience. 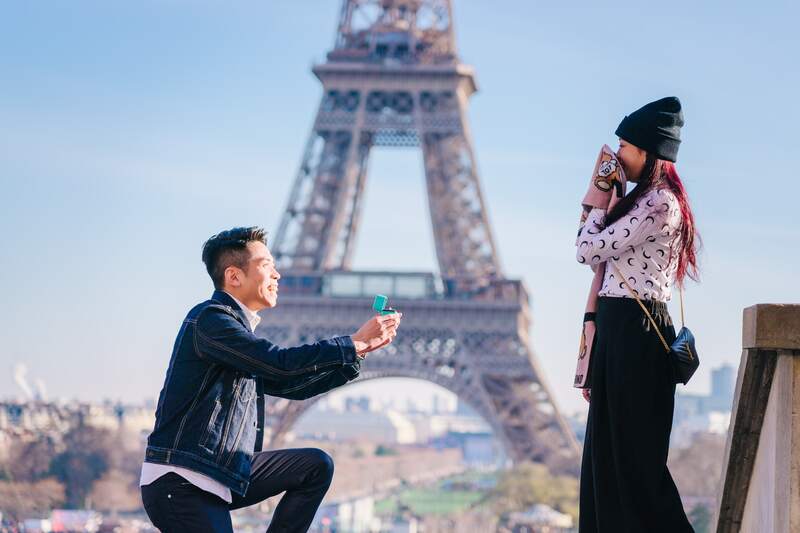 Book a local photographer to capture beautiful candid proposal or vacation photos with iconic landmarks and secret spots of your trip to New York, New Jersey, Long Island, Brooklyn, Queens, Manhattan, Paris, France, London, Tokyo, and Lisbon.